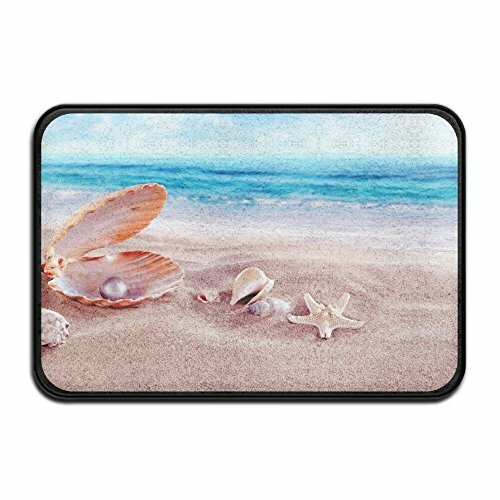 Beach Collection,Blue Sky Tropical Seashell Conch Starfish Beach Ocean Bath Mat - 1 Piece Memory Foam Shower Spa Rug Bathroom Kitchen Floor Carpet Home Decor With Non Slip Backing 24in x 16in by PopKindom Bath Mat at My Natures Treasures. MPN: kbsmnf1fag-36493798. Hurry! Limited time offer. Offer valid only while supplies last. If you have any questions about this product by PopKindom Bath Mat, contact us by completing and submitting the form below. If you are looking for a specif part number, please include it with your message.